Get enchanted by the beauty of the Lailia forest, Lake Kerkini & Alistrati Cave to find your way closer to nature when you visit Serres in Greece. Beyond the borders of the city of Serres lies a natural landscape so wild and virgin that lures the soul and steals the impressions. A journey to this part of northern Greece may give the visitor the chance to get closer to nature like never before. The hidden gems around Serres are plenty. You simply follow the road that leads to the Koulas hill where the ruins of the Byzantine acropolis proudly stand for centuries. You’ll meet the valley of Agii Anargyri first where you can take deep breaths, a break from the hectic city life, and the opportunity to walk among trees, brooks and cascades. And that’s not all! 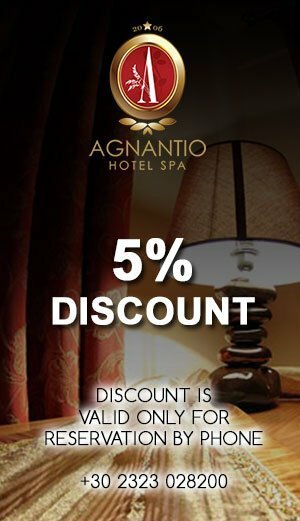 Once you relax at Agnantio Hotel – Spa in Sidirokastro, Serres, you can get all set for your short trip to Lailia forest. Less than a half an hour drive away lies the enchanting Lailia forest, which has been declared a Natural Monument for its beauty, over 500 types of flora, and the fantastic variety of fauna. The wonderful world of wilderness dominates while the highest peak, called Ali Baba, hosts a ski center for the fans of slopes and a restaurant/café for those who prefer to admire the white scenery behind the glass windows. Only a breath away from your hotel lies one of the most significant wetlands in Greece: Lake Kerkini. The peaceful environment, the diversity of birds, and the large number of amphibian, animal, and fish species all create a scenery that cannot be missed. 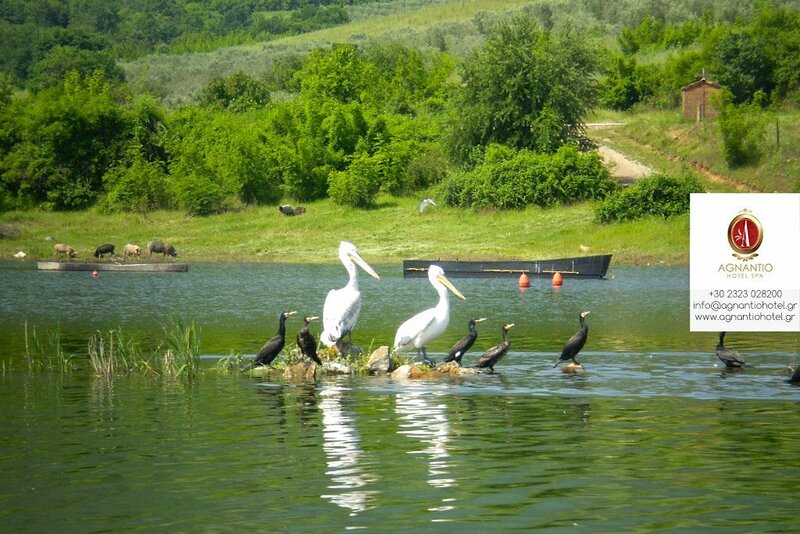 Although artificial, Lake Kerkini is a worldwide recognized biosphere known for bird watching. What else will bring you closer to nature than watching flamingos fly away or gazing at water lilies? Known as one of the largest and most interesting caves in Europe, the Alistrati Cave astonishes with its stunning stalactites and stalagmites. Its size is as impressive as the fauna species. It creates a biological interest due to the variety of microorganisms, bats, amphibian, and mammals while the fauna sediments date approximately 2 million years back. That alone is intriguing.